Pure lavender oil is made from the flowers of the lavender plant. Latin name Lavandula augustafolia. 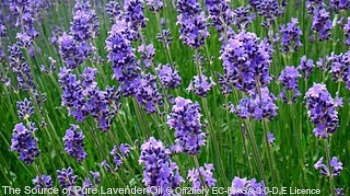 The oil found in the flowers is what gives the lavender it's distinctive smell. Lavender oil can be beneficial for many different conditions. If you use it to manage your eczema it can be helpful because of some of it's properties. It is also anti-fungal and antiseptic which can help with other ailments. 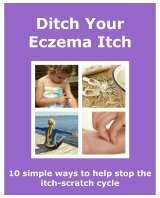 There a number of different ways you can use the oil to help you to manage your eczema. It is always recommended that you test a small amount of oil on a small area of skin. Lavender oil can cause an allergic skin reaction. It is safe to use lavender oil on children. Use half the amount that you would use yourself. Its recommended not to use undiluted lavender on your children's skin. The best way to use it on children is to add it to their bath, or mixed in with their moisturiser. Remember though to only use around half the adult dose. There seem to be differing reports on whether lavender oil is safe to use during pregnancy. I would recommend talking to your doctor or midwife if you are thinking of using lavender. Pure lavender oil is a very popular essential oil. It could have a positive effect on your eczema, as well as other areas of your health.